● 2019 events: 22 & 23 June: Turbulence Live. Plus perhaps satellite concert events. 29 June: Portland Weird Homes Tour. ● Yuko Pomily: Uniquely superb original music by a truly remarkable young composer and performer. Purchase her magic. New: Forward landing gear support structure fabricator wanted! New: The core causes of the Boeing 737 Max Flight 302 and 610 tragedies. Visitor's information, including important safety issues and liability disclaimers. Read and accept before visiting. Contact information and communication notes. Three uniquely fun and engaging videos: Cindy Her, Dylan Magaster, and KGW News. Frequently asked questions: Costs, room, aerospace appeal, schedule, infrastructure, insulation, codes and zoning, etc. Aerial images (miniature sample below). I want one too! How do I do it? Sentient Artificial Intelligence / 意識 人工知能: Truly sentient AI design outline and investing perspectives. Deadly Autopilots: Do airliner autopilots respond to crew incapacitation events by sending the aircraft into a fatal near vertical dive? 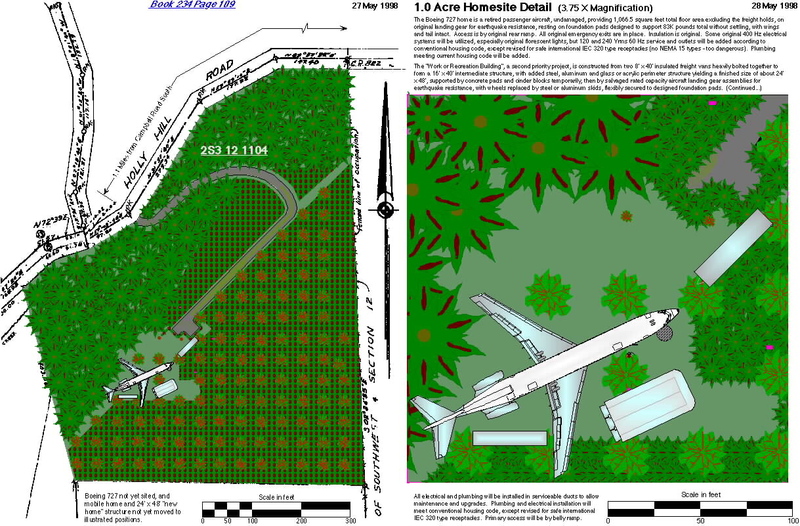 Copyright and media information, and pilot's overflight information. Lost and found, video requests, and theft. Precision drawings, including the transport configuration. A beautiful 747 hostel in Stockholm. Their web site. Costa Verde's charming Boeing 727 lodge in Costa Rica. The Cosmic Muffin, an intriguing and artfully converted PlaneBoat. 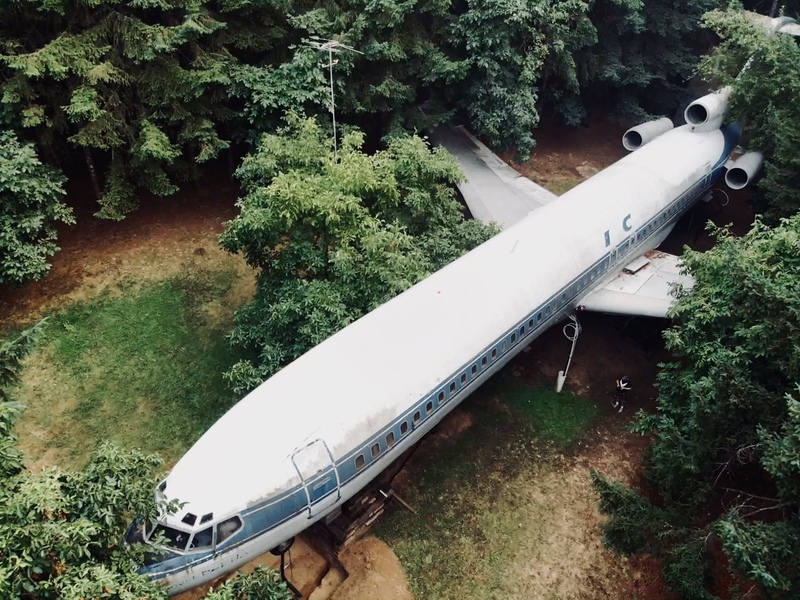 RedAirLane, a DC8 home in Tennessee. Fate unknown since the death of its creator, Red Lane, in 2015. AirplaneHome.nl: An airplane hotel ambition in the Netherlands. This video describes it well. Project Freedom, an ambitious dual aircraft dwelling project in Texas. But no recent progress seems evident. 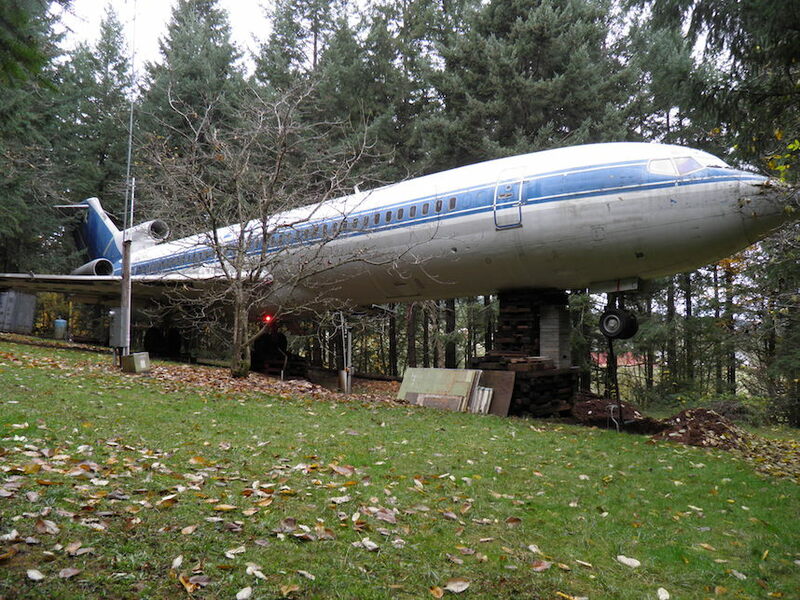 A California home which incorporates Boeing 747 components. The sad side: Poor families living in derelict aircraft in Ramkhamhaeng, a Bangkok neighborhood. NoSpam Notice: UCE (spam) or any unsolicited subscription based email distributed on an "opt out" basis is absolutely prohibited. Do not ever send any such email to any AirplaneHome.com address. 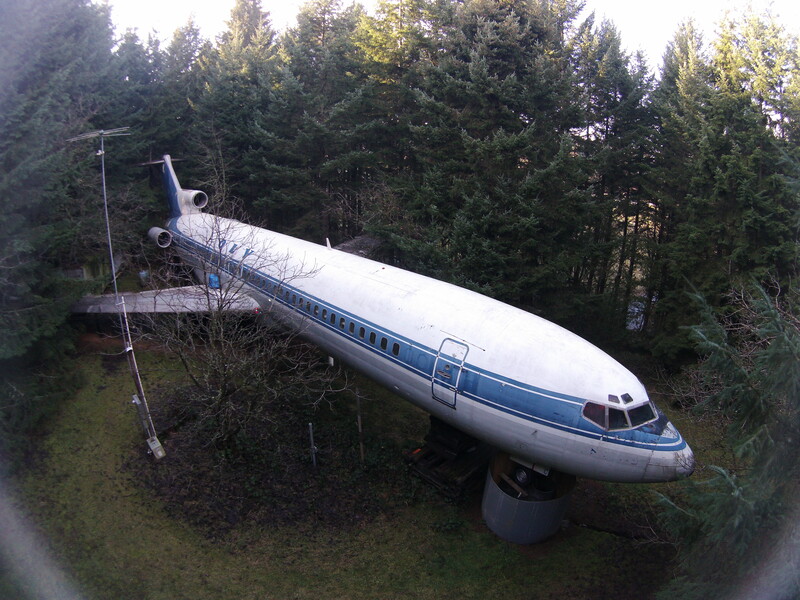 DCAirplaneHome, Airplane Home, Aircraft Home, Boeing 727 Home, Boeing Home, Airplane House, Aircraft House, Boeing 727 House, Boeing House. UCECage@AirplaneHome.com. Report mail misconduct to UCE@FTC.gov.